Thinking of selling in the next couple of months or you want your home to be the envy of your neighborhood here is something you might want to consider doing now to make your home stand out. 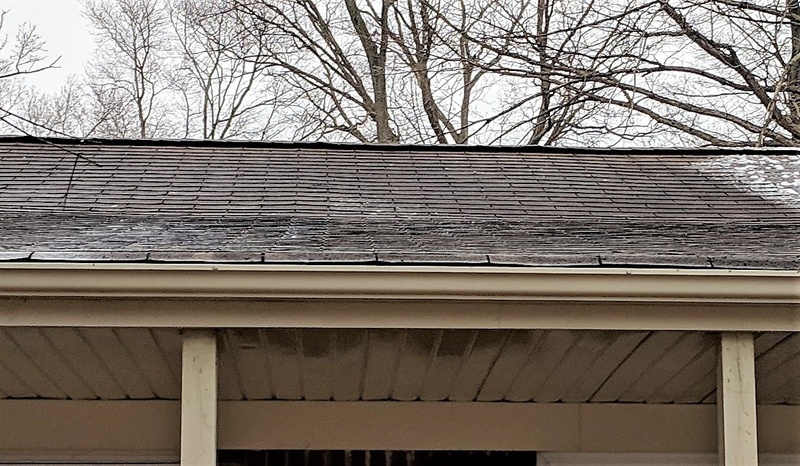 Does your roof have black streaks or has turned black over the years? Is there moss growing on your roof? Getting a home ready to sell but we noticed that the roof looked a like black in many different spots. Probably should have thought of this a little sooner. So we did a couple on internet searches to find out how we could make the roof look better and make the home stand out to future buyers. We did not want go have to go onto the roof with buckets and scrub brushes even though my husband was willing and was not sold on power washing the roof we did not want to ruin the shingles. So we found a product that we could spray on the roof. The product comes in a bottle that you hooked up to your hose and spray on your roof or in a one gallon concentrate that you mix with water and put into a yard sprayer. The product was easy to use. There is a down side, it takes time. So if you are thinking about selling in the next 3 to 6 months, you need to do this Now. The longer the product can stay moist on your roof the better according to the instructions so we choose to complete this project a day that was overcast with a slight drizzle. Now we wait. Check back for updated pictures. The product is Spray and forget. It states it is ecofriendly and pet friendly. They have other products which we have not tried yet. So if you are interested you can check out the product at the following website and see if it right for you to use https://www.sprayandforget.com/ Make sure to do your research and ensure this product is right for you and your home.